Can you remember a time when cars did not have power steering? Well, you may be dating yourself but there was a time that only the most stalwart of drivers could navigate an automobile. Steering was hard. No power accessories. Yes, you had to crank the window down and set your mirrors by hand. 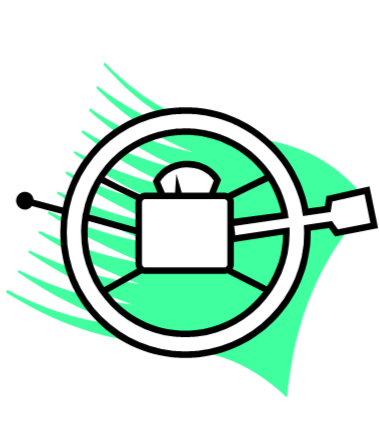 Today, the manufacturers of many labor saving devices have standardized their features to include “power steering.” Cars, even vacuums, all have power assist. Garage doors, tooth brushes, and the list goes on and on. In the Apostle Paul’s second letter to his young protégé Timothy, he is thankful for Timothy, for his friendship, faith and prayers. Paul is writing this letter to encourage Timothy, reminding him that he got a very important gift from God, Timothy got the help of the Holy Spirit. We often forget about this third member of the Trinity. God of course and Jesus are the other members. So what exactly is the Holy Spirit going to do for us? Paul says, power, love and self-discipline. Three things that no one would ever dispute are pretty great to have. Many times, it is hard to take these invisible gifts from God and understand them but maybe the perfect way to understand the Holy Spirit is to think of “Power Steering” for your life. The Holy Spirit is there, a gift to each of us to help each of us be bold when we are timid, to love when we want to hate and to provide strength when we are weak. You have Power Steering, so why not use it as you drive through life. Is there a sense of God’s Love in your life? Can you find peace somewhere? Has your suffering brought you closer to God? Would your friends call you gentle? Do you have self control over those things that are trying to push God out of your priorities? The Spirit is fully God, is eternal, omniscient, omnipresent, has a will, can speak to us and is alive. The Holy Spirit has inspired the very Scriptures we all hold as true. A counselor and teacher, the Spirit testifies as to who Jesus is and provides us truth. We have a great God. He not only created us in His image but granted us free will, without which happiness could not exist. God provided us dominion over our entire world. He even assured us that our imperfect free will would be forever repaired through the work of Jesus on the Cross. Now if that is not enough, the Apostle Paul tells us that we have also been given power for our life that works in this world, power to overcome those we dislike with love and the power to overcome sin through self-discipline. Don’t ignore the power you have to navigate life. No one needs to go it alone. Use God’s gifts, the Spirit and Jesus to make this world a better place to live in. Your tip, therefore, is to listen for the whispers of Spirit in your heart. Steering through life will be much easier.